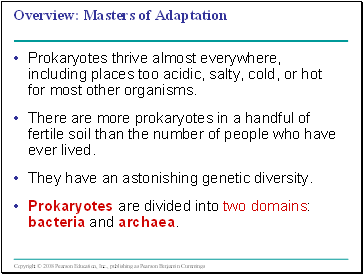 Prokaryotes thrive almost everywhere, including places too acidic, salty, cold, or hot for most other organisms. There are more prokaryotes in a handful of fertile soil than the number of people who have ever lived. They have an astonishing genetic diversity. Prokaryotes are divided into two domains: bacteria and archaea. 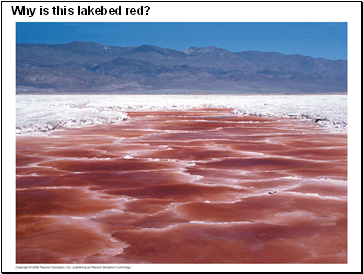 Why is this lakebed red? 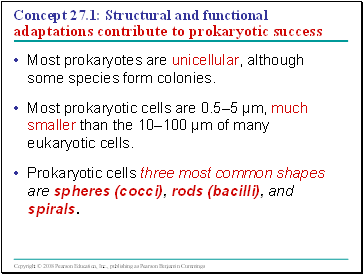 Most prokaryotes are unicellular, although some species form colonies. Most prokaryotic cells are 0.5–5 µm, much smaller than the 10–100 µm of many eukaryotic cells. 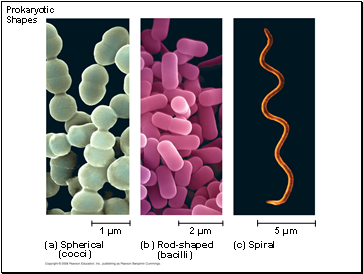 Prokaryotic cells three most common shapes are spheres (cocci), rods (bacilli), and spirals. 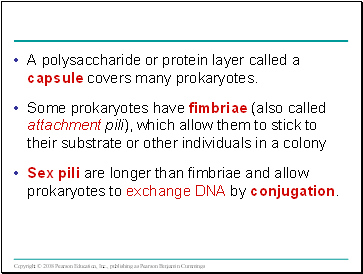 An important feature of nearly all prokaryotic cells is their cell wall, which maintains cell shape, provides physical protection, and prevents the cell from bursting in a hypotonic environment. 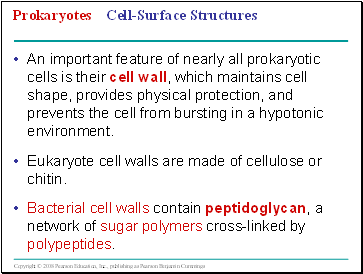 Eukaryote cell walls are made of cellulose or chitin. Bacterial cell walls contain peptidoglycan, a network of sugar polymers cross-linked by polypeptides. 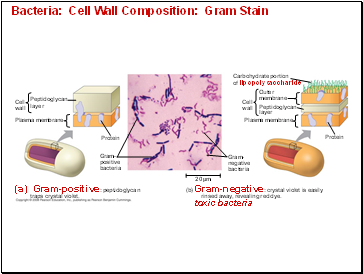 Using the Gram stain, scientists classify many bacterial species into Gram-positive and Gram-negative groups based on cell wall composition. 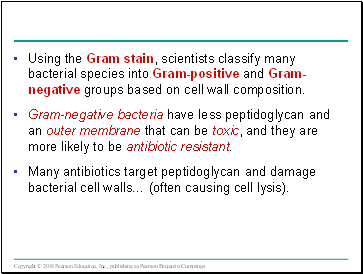 Gram-negative bacteria have less peptidoglycan and an outer membrane that can be toxic, and they are more likely to be antibiotic resistant. Many antibiotics target peptidoglycan and damage bacterial cell walls… (often causing cell lysis). rinsed away, revealing red dye.